Supplier Focus: DeFOREST Enterprises Inc. - J R Hess & Co., Inc. Supplier Focus: DeFOREST Enterprises Inc.
DeFOREST Enterprises Inc. offers a diversified and comprehensive line of surfactants and specialties for a variety of end use applications. (Click here to view the full DeFOREST product catalog). DeFOREST is also a leader in developing greener surfactants and contributing to the creation of environmentally safer cleaning products. They are an official sponsor of CleanGredients® and long time supplier member in the surfactant category. The company currently lists eight (8) surfactants on CleanGredients.org, with a ninth product, DeCORE 2478-Eco, soon to come. Click here to view the list of DeForest CleanGredients® listed surfactants and link to their 2011 Green Initiative. As the exclusive DeFOREST distributor for the Northeast, we are proud of their commitment to supporting the efforts of GreenBlue and CleanGredients®, while developing a range of innovative, greener surfactants for formulators and manufacturers. 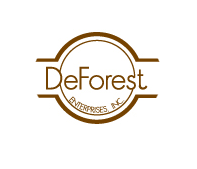 For more information about DeFOREST, visit their website.